The state of Kentucky has been officially named the houseboating capital of the world. 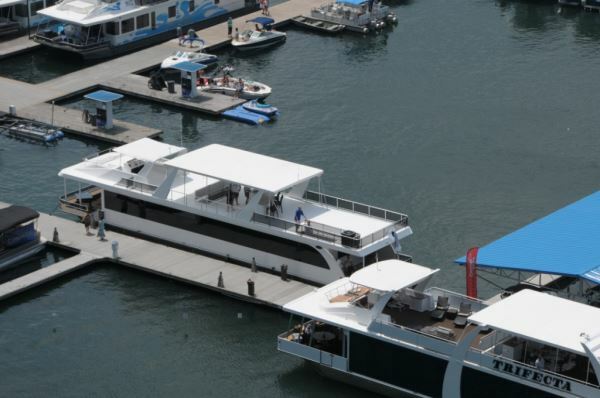 But Kentucky’s multimillion-dollar houseboat industry is being endangered by the unintended consequences of several public-policy changes, our industry leaders told state legislators. Some of the major issues including the collection of personal property taxes on boats. This is sending Kentucky’s houseboat industry into choppy waters, says Kentucky Marina Association President Bill Jasper. 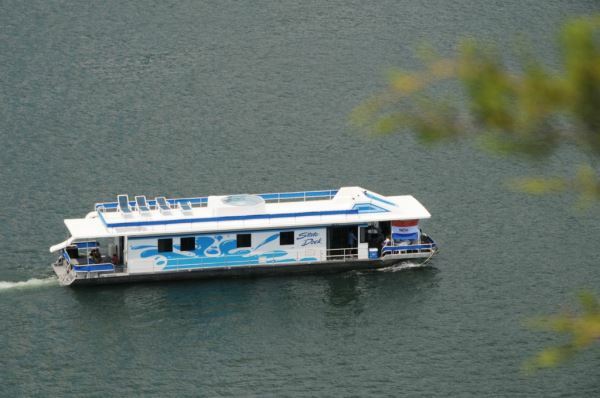 As you might be aware, houseboating is one of Lake Cumberland’s biggest claims to fame. If you’ve ever been lucky enough to spend time on some of the lakes many tranquil coves and inlets, you know what we are talking about. Members of the Interim Joint Committee on Economic Development and Tourism and Interim Joint Committee on Labor and Industry traveled to Lake Cumberland State Resort Park to hear the concerns firsthand. While they were there, they were treated to a houseboat tour of the lake. These concerns have been growing for a couple years. Starting when cash-strapped Kentucky started aggressively pursuing and collecting its personal property tax on houseboats, says Jasper, who operates State Dock on Lake Cumberland at the state resort park. While the state’s tax is only 1.5 cents per $100 of assessed value, schools, counties and special taxing districts are now imposing additional taxes on boats. All of this makes the taxing scheme unfair. He says the tax on a $200,000 houseboat docked at State Dock marina is $1,900 per year while the owner of the same houseboat would pay $578 less if they docked their boat at Grider Hill Marina in neighboring Clinton County. Marinas located on waterways that cross state lines have an additional problem. Tennessee, for example, has no personal property tax on boats. This simple fact could push Kentucky boaters to Tennessee, which would hurt the local economy in other ways besides tax dollars. It impacts other businesses, such as local grocery stores, gas stations, restaurants plus marinas. “We need a solution that will provide a fair and reasonable tax or fee on boats for the services that the tourists could use, that is not so high as to force tourists out of boating and that provides a fair and consistent tax rate of these moveable items around Kentucky,” Jasper says. Jerry Harden, president of houseboat manufacturer Stardust Cruisers of Monticello, told the legislators that houseboat owners drive through Kentucky from southeast Michigan to dock their boat in Tennessee. “Our policies are driving people to drive through Kentucky,” he says. 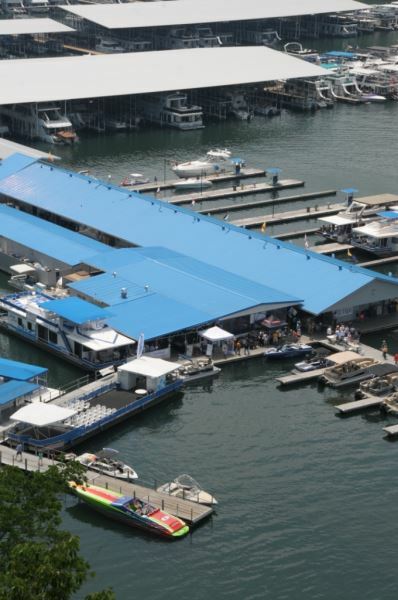 The state marina organization proposed replacing the personal property tax on boats with a registration fee similar to Tennessee, Ohio, Indiana and Florida. Jasper says another option would be to make houseboats only subject to state taxation or establishing a standard tax rate for counties and taxing districts. Carolyn Mounce, executive director of the Somerset-Pulaski Convention and Visitors Center, told the legislators that early school start dates have also negatively affected Lake Cumberland resorts, marinas and attractions since the school year was expanded in Kentucky. “It’s causing use to lose tourists,” she says. She says most Kentucky schools began summer vacation in May, before the weather was conducive for houseboat vacations, and will end in early August when it’s still hot outside. The final concern the marina association had was proposed legislation to prohibit swimming within 50 yards of a boat docked or marina where houseboats receive electrical power. “Marinas that installed electrical systems prior to 2010 would be forced to replace much of the equipment,” Jasper says.